← What’s Really Happening with Director Hughes and the DC Office of Open Government? Preliminary schematic for the re-design of the Eastern Market Metro Plaza. Parcel 1 will be the first part of the plan to see reality. 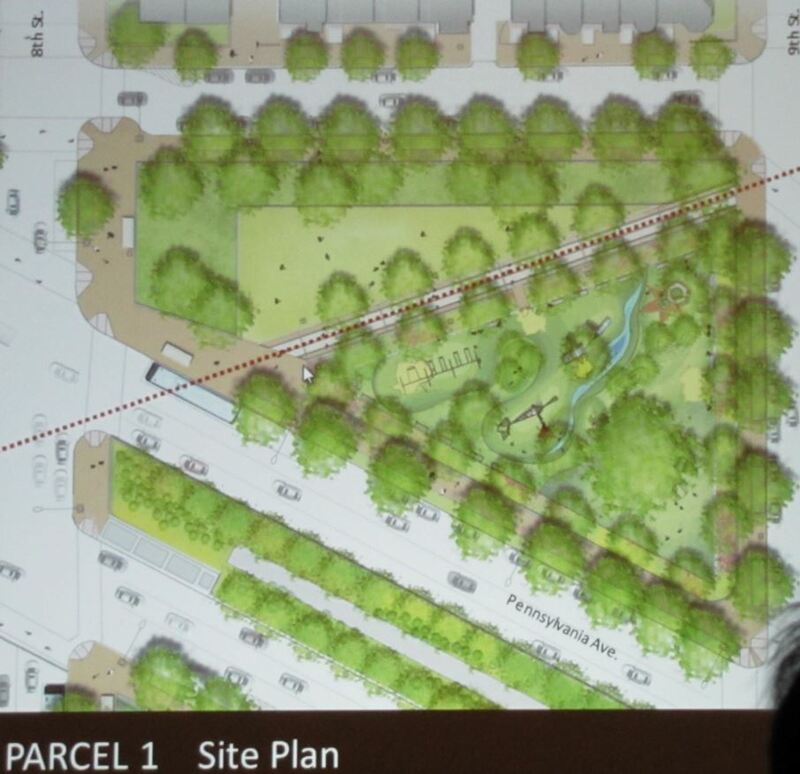 Preliminary sketch of how the playground and gathering place in Parcel 1 might look. Tuesday night, the Department of General Services announced that the city is ready to move on Phase 1 of the Eastern Market Metro Plaza Redesign. 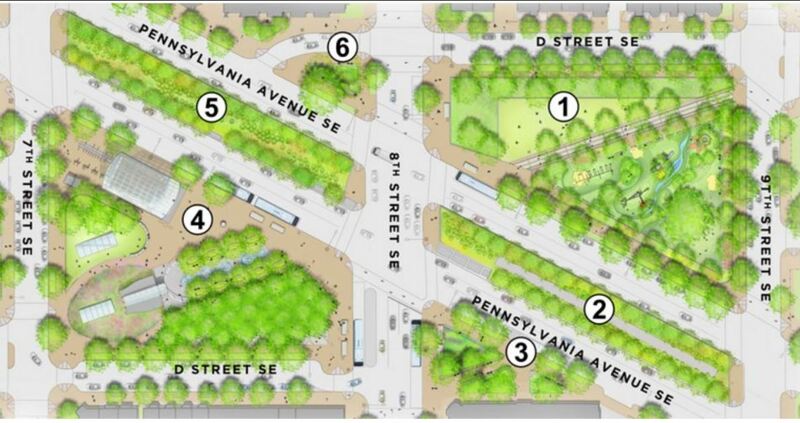 Phase 1 will be the children’s playground and community gathering space in the park which constitutes the NE portion of the Plaza – designated “1” in the photo above. The news came from Anthony DeLorenzo, Urban Planning Project Manager for the Department of General Services, at the ANC6B monthly meeting in Hill Center. DeLorenzo said that DGS would issue a request for proposals to re-do the park in March, make a selection in April, and have a community kick-off in May. DeLorenzo said that the first year will be for design and planning and the second year for construction. DGS expects the project to be completed in 2020. The Department of Parks and Recreation is working with Barracks Row Main Street to install playground equipment in the park over the summer from a community benefit from the Hine project, part of community compensation for the increase in mass and density required for the project. That equipment will be incorporated into the redesign as it progresses.